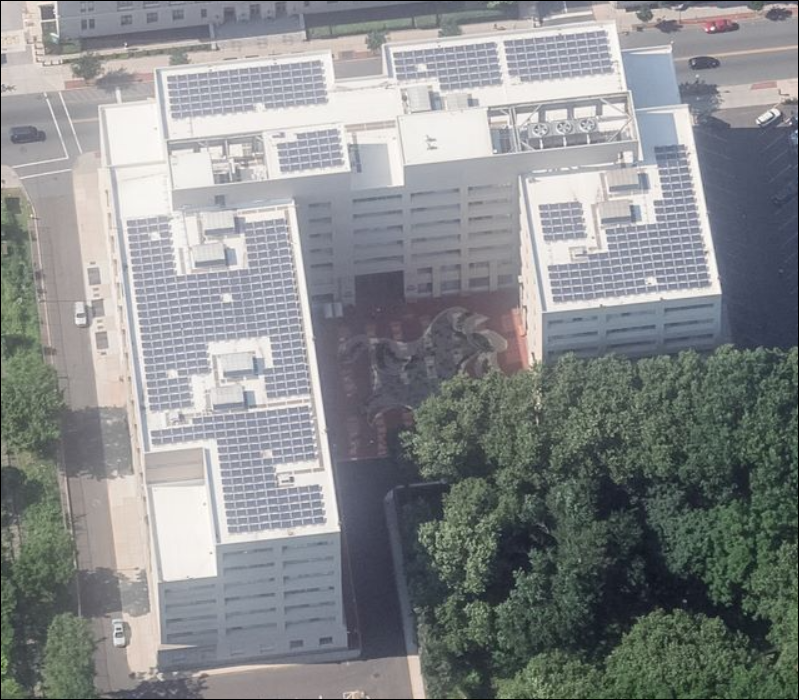 In July of 2012, the NJDEP installed a 184 kW Solar PV Array on the rooftop of it’s Headquarters at 401 East State Street in Trenton, New Jersey. This Solar PV Array is one of a handful of Solar PV systems on New Jersey State owned buildings. NJDEP monitors the performance of its Solar Array through the Noveda Technologies Sunflow Monitor. The monitor, located in the cafeteria of the NJDEP headquarters, displays system performance, equivalent homes powered, and avoided greenhouse gas emissions by day, month, year, and 365 days past. 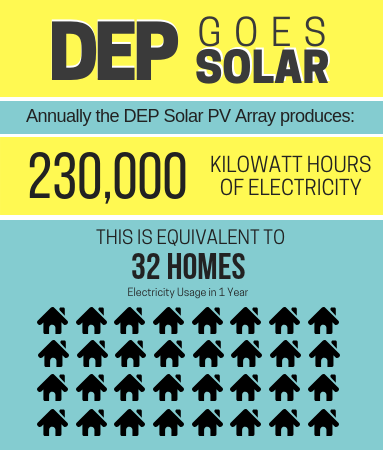 In 2017 the NJDEP’s Solar PV Array produced a total of 221,397.20 kW. This amount is enough to power about 32 homes for a full year! Having trouble viewing the images above? This page needs Adobe Flash to be installed and enabled. Not all browsers support Adobe Flash, so please check with your browser manufacturer for guidance on using Flash.